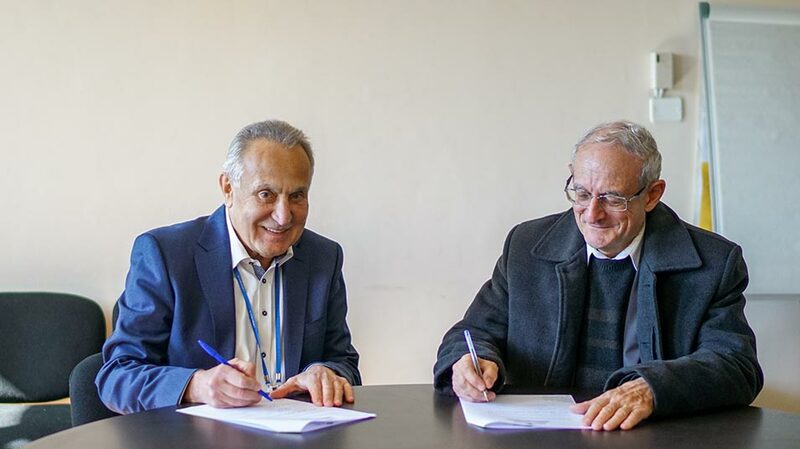 Birzeit University, represented by Vice President for Academic Affairs Henry Giacaman, signed a memorandum of understanding with the Akram Sbitany & Sons Company, represented by President and Chief Executive Officer Mazen Sbitany, that provides business and economics students with increased training and internship opportunities, on January 30, 2019. 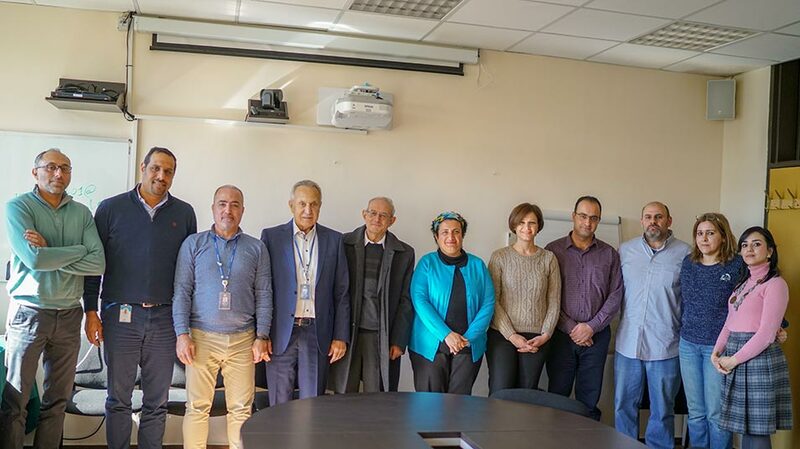 Attending the signing ceremony were Dean of the Faculty of Business and Economics Samia Al-Botmeh, Akram Sbitany & Sons Marketing Department Manager Samer Sabri, Human Resources Manager Omar Ja’bari, and a number of faculty and staff members. 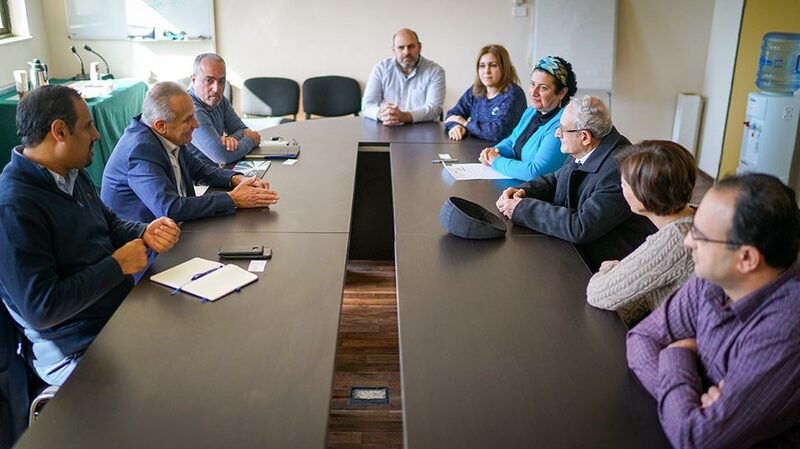 By the terms of the agreement, the Training and Employment Unit at the Faculty of Business and Economics would cooperate with the Sbitany Company on the “Sbitany Shabab” program, which offers Palestinian business administration and marketing majors training and internship opportunities. Akram Sbitany & Sons Company would offer fully-funded scholarship opportunities to the Faculty of Business and Economics, in addition to donating equipment and a number of computers. Al-Botmeh, in her welcoming remarks, emphasized the importance of student training programs, saying that they provide students with valuable real-life skills that would allow them to excel in their future careers. 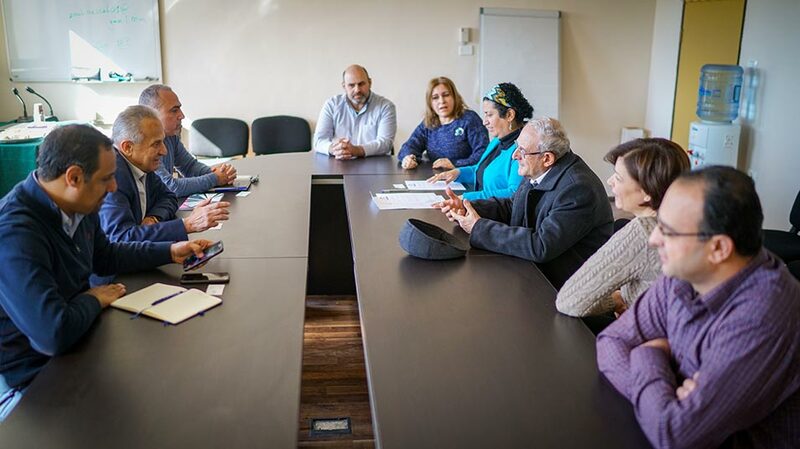 Sbitany, stressing the significance of student internship and on-site training programs, said that the company is proud to cooperate with Birzeit University on its unique “Sbitany Shabab” initiative, and called for more schemes that are designed with the student in mind.